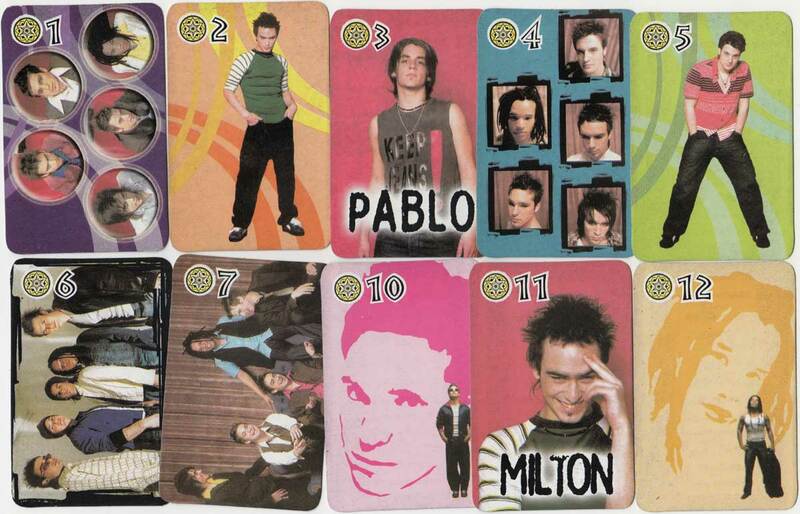 Mambrú was a male popgroup from Buenos Aires, Argentina. 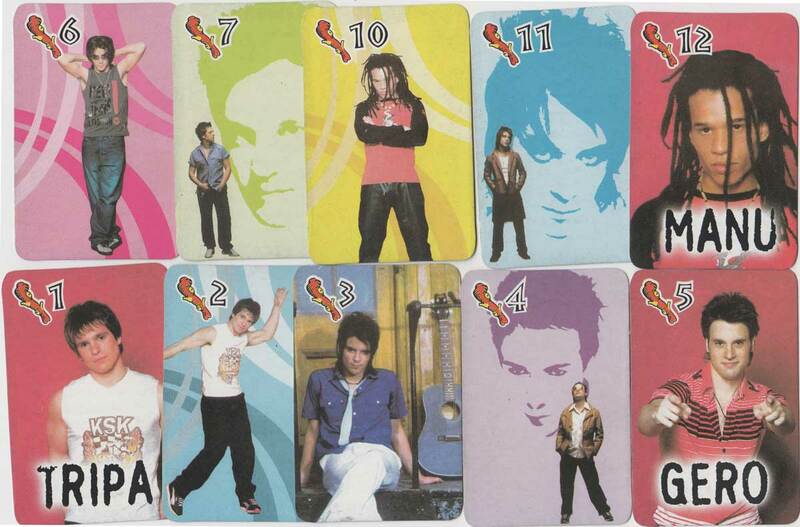 They saw both local & international success from 2002 until 2005 when they disbanded. 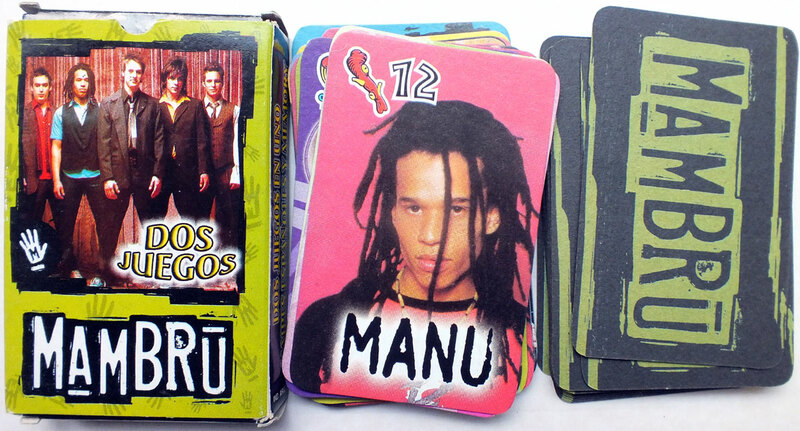 Above: Mambru pop group playing cards from Argentina, 2002. 40 cards in box.